The TransPuls Synergic 2700 or TPS 2700 Series welding machines available from SMENCO combine digital quality with convenient portability. Available in two models, SMENCO portable welding machines are designed to perform a wide range of functions in the workshop as well as out in the field. 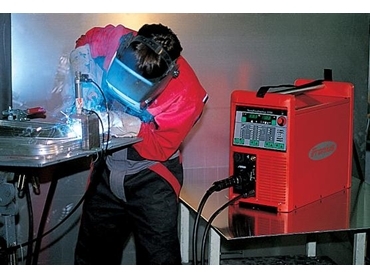 Fronius TPS 2700 MIG welding machines offer pulse MIG welding and are the machines of choice for all aluminium and stainless steel welders as well as manufacturers. TPS 2700 TIG machines are TIG welding machines and offer special functions as well as multiprocess capabilities. Weighing only 27kg, TPS 2700 welding machines are portable and suitable for any type of onsite or field maintenance work, thanks to its integral wire feed drive. TPS 2700 welding machines from SMENCO are totally digitised to deliver high precision and high performance welding. Their synergic mode makes them extremely simple to operate. The TPS 2700 comes with a range of accessories to suit every possible application from torches and cooling units to remote-control units, all fine-tuned to the capabilities of the power source. The portability of the TPS 2700 expands the versatility of the machine, allowing the user to work on a wide range of possible applications and also making them ideal for the construction site, the workshop as well as onsite repair and maintenance work. Their multiprocess capability allows the user to weld using any welding process including MIG/MAG, TIG or MMA with the same machine. Separate wire feed options are also available. The TPS 2700 is available with software options especially developed for aluminium welding, facilitating the use of these welding machines in classic aluminium applications or for working with very soft aluminium wires and long hosepacks. TPS 2700 TIG also comes with special TIG-welding capabilities such as the TIG Comfort Stop function that eliminates the annoying pinhole when the arc is broken at the end of the welding.